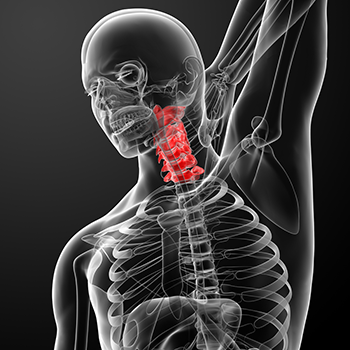 Head and Neck Surgery in Washington, D.C. There are several reasons why we may recommend that a patient receive surgery. Whether it’s to alleviate the symptoms of a condition or to treat the condition itself, surgery may be the best option. Your doctor will often advocate for surgery only after other less invasive treatments have proven unsuccessful. Sleep apnea is one of the most common sleep disorders and is often characterized by loud snoring. Most sleep apnea cases can be treated through the use of lifestyle changes, oral devices or a CPAP machine; however, for more severe sleep apnea cases that don’t respond to treatment, surgery may be advised. Imaging technology is used to assess and measure your airways prior to the procedure. There are several sleep apnea surgeries to consider including uvulopalatopharyngoplasty (UPPP), tonsillectomy and adenoidectomy, tracheostomy, maxilla-madibular advancement (MMA) radiofrequency ablation (RFA) and palatal implants. Most cancers of the head and neck begin as squamous cells within the lining of the mouth, nose or throat. These cells can also be found within the salivary glands; however, this is less common. Cancers and other malignant tumors of the head and neck will require surgery, chemotherapy and/or radiation to ensure a good prognosis. These surgeries can sometimes affect a patient’s ability to talk, chew or swallow; however, the surgeon’s goal is to always minimize changes that can occur as a result of surgery. These surgeries are typically performed inpatient under general anesthesia. The extent of surgery will depend on the size and location of the cancer. Nasal polyps are noncancerous growths that form in the nose and sinuses. While most nasal polyp symptoms respond well to over-the-counter antihistamines, prescription medication or a combination of both, more severe conditions may require surgery. This outpatient procedure is performed endoscopically using a small nasal scope to remove polyps and preserve nearby tissue. While surgery can be effective, it does not guarantee that nasal polyps won’t return in the future. Continued treatment is often necessary. call William R. Bond, Jr. M.D. at (202) 726-7770 today!